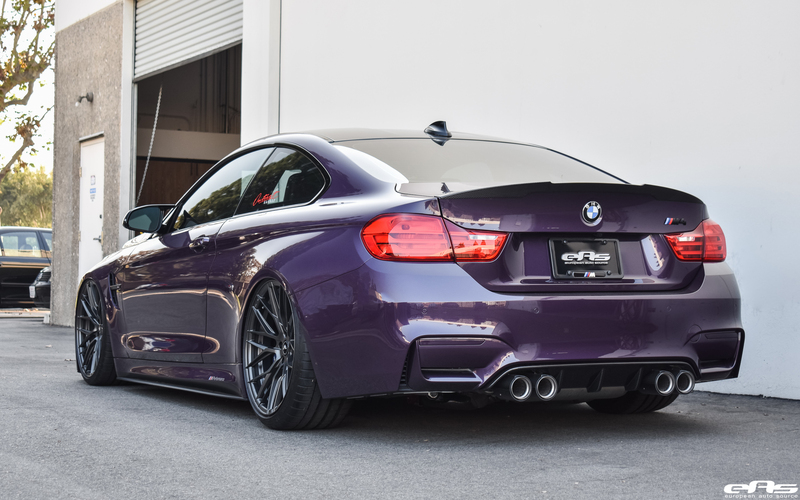 For this owner, the sheer fact that his BMW M4 comes with an epic looking Daytona Violet exterior finish and a complete ZCP Package didn’t cut it. 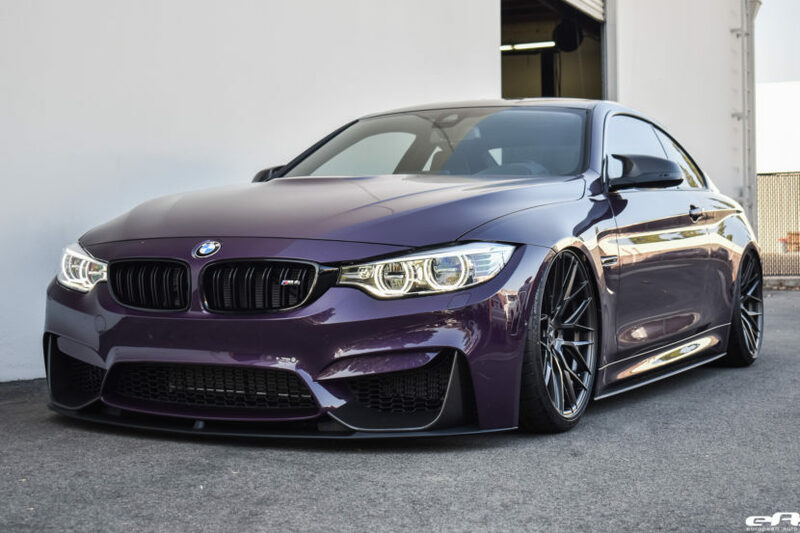 Hence, he opted to go with a set of aftermarket exterior modifications that turned this already gorgeous M4 into an impressive looking machine. All of the work was done over at European Auto Source, giving the owner a peace of mind, as this is one of the best aftermarket shops in the US. The build left the performance aspect almost completely untouched. But, since the BMW M4 is powered by the highly-potent 3.0 Liter BMW TwinPower Turbo engine, delivering 425 horsepower and 486lb-ft of torque, resulting in a 0-62mph (0-100km/h) acceleration run, that doesn’t really put a dent into this build’s appeal at all. The additions started with what seemed like the entire BMW M Performance Parts catalog. 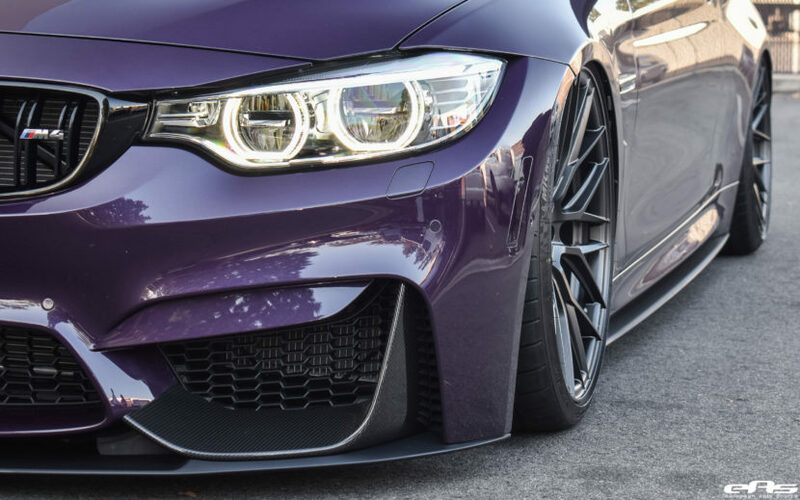 The BMW M4 is graced with the BMW M Performance carbon fiber front splitters, carbon fiber mirror caps, rear diffuser, rear decklid spoiler, side blade attachments, gloss black kidney grilles and gloss black side markers. Finally, to improve the throttle response and give the engine a bit more power and torque, a complete BMW M Performance titanium exhaust system – with gorgeous carbon fiber tips – was installed. In turn, now the exhaust sound coming out of the quad exhaust pipes is deeper and louder, and provides the perfect sound backdrop to the vehicle’s gorgeous looks. Additionally, the BMW M4 received a set of iND painted front reflectors, painted rear reflectors, and a painted trunk badge. Overall, these small cosmetic touches really clean up the vehicle perfectly. Finally, the most impactful touch was added: a set of Vorsteiner V-FF 107 Flow Forged wheels. For this vehicle, the lightweight V-FF 107 wheels are sized 20×9.5 ET22 in the front and 20×10.5 ET34 in the rear, respectively. Thanks to a Carbon Graphite finish, they flow with the Daytona Violet exterior finish of the vehicle nicely. 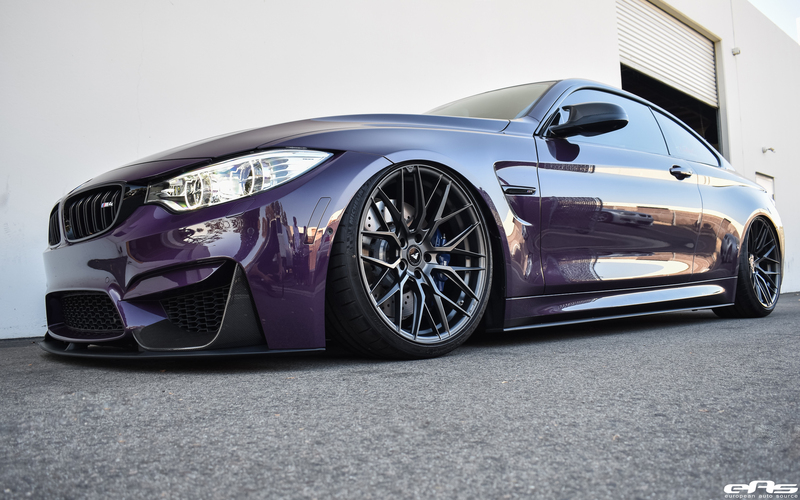 To further accentuate the wheels and push them more flush with the fenders, the tuning shop initially installed a set of Macth Schnell spacers – sized 12mm in the front and 10mm in the rear. Finally, an Air Lift Performance suspension allows the owner to play around with both the ride height and rebound. While for some, an airride is a big no-no in high-performance applications, the advancements in the field of air ride technology certainly upgraded the “best of both worlds” approach to this suspension solution. Grab a quick look at the detailed media gallery of this vehicle right below. Previous post VIDEO: Is the Tesla Model 3 the coolest car of 2017?